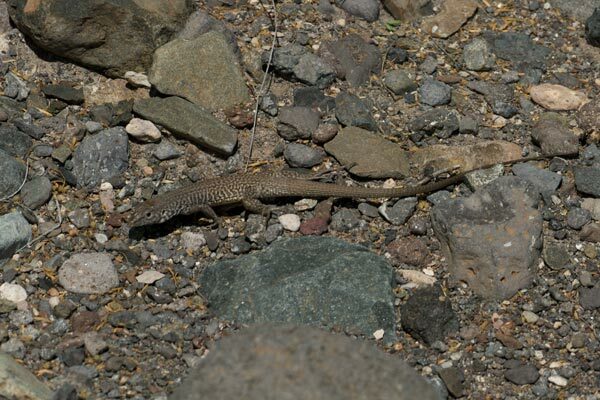 This whiptail was not cooperative in the slightest. I followed it around for way too long, and ended up with only cruddy photos like this one. It would move slowly only when it was at least twenty feet away. If I got any closer than that, it would dash off to another far away spot, and then start moving slowly again, obviously deliberately mocking me. 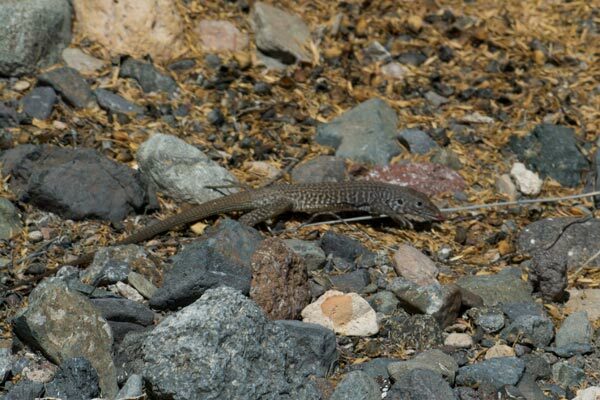 This whiptail was just a little more cooperative than the one I followed around near Rio Grande Village in Big Bend National Park. 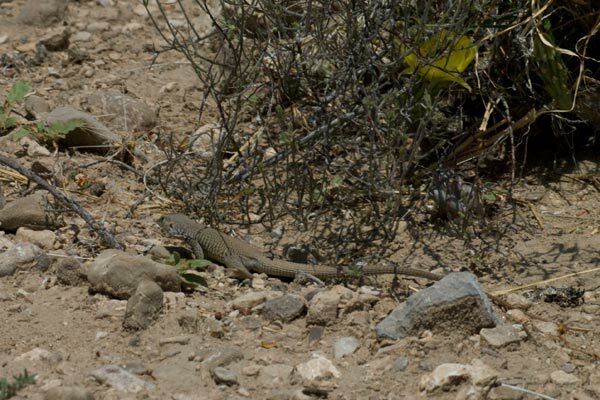 It never did stop moving for more than an instant or two, but it did tend to stay out in the open and circle warily around me.